Lower on fat. Big on flavour. 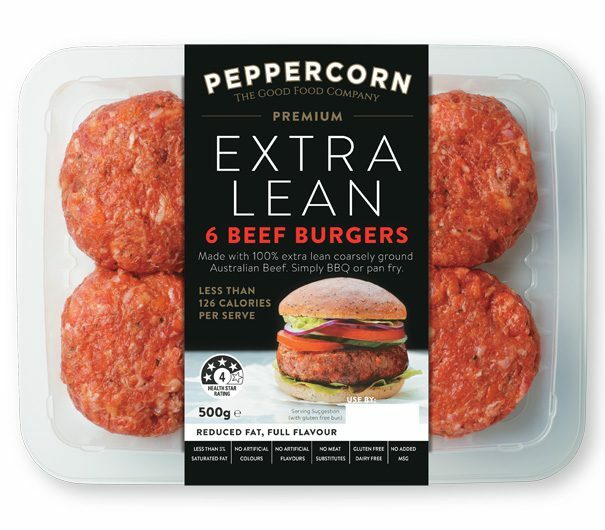 With less than 3% saturated fat, our Extra Lean Range lives up to its name. 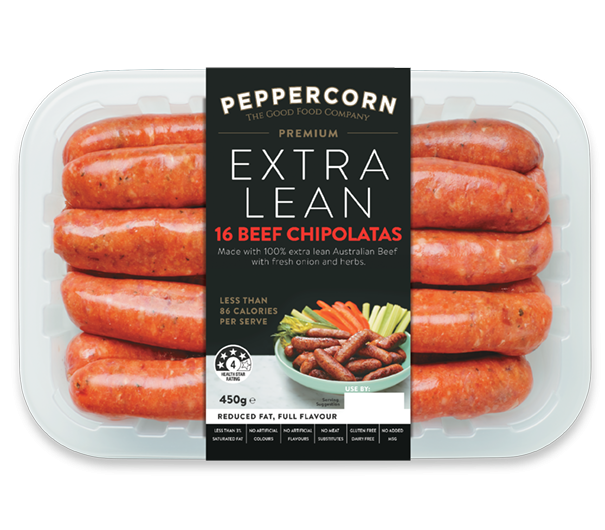 We only use ingredients you’d cook with yourself; think lean Australian meat and fresh veggies like carrots, onions and garlic. Salt is kept to a minimum and artificial colours and flavours are banned. Our delicate balance of flavours come from the quality fresh ingredients. 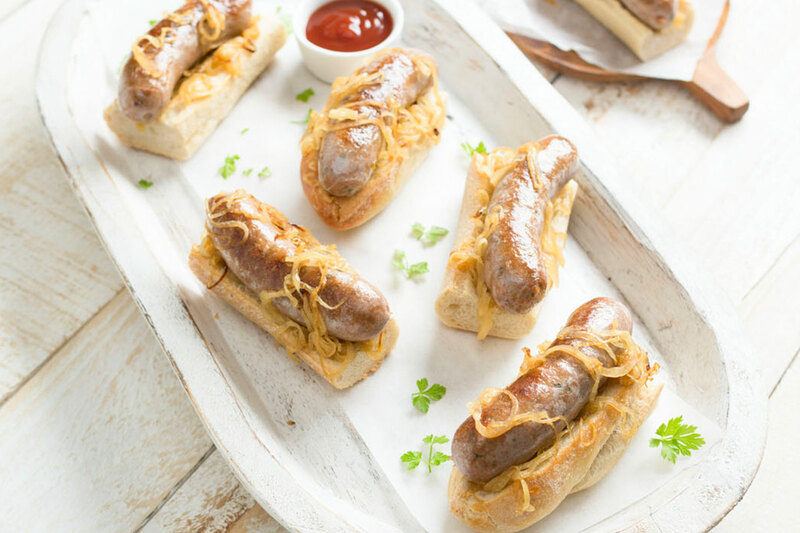 To bind everything together we use a little gluten-free rice flour and natural casings for our sausages. If you care about what you put on your table, you’ll love the healthy numbers on this table. 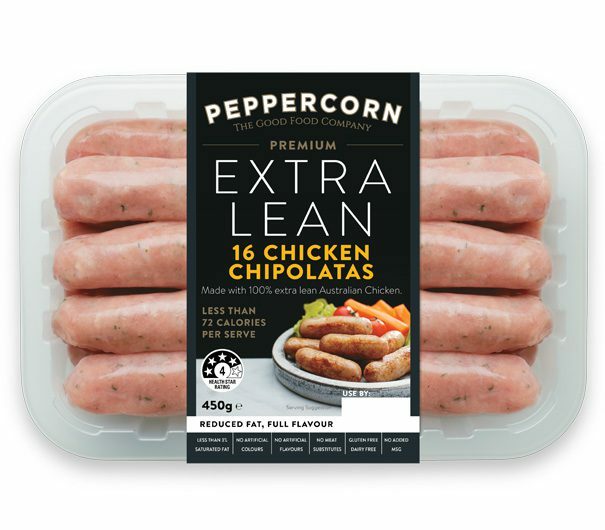 Our Extra Lean range has less than 8% total fat, less than 3% saturated fat and virtually no trans fat. The hamburger made healthy. Slightly flatten out the patty, then grill or bake. Serve between grilled field mushrooms for a gluten-free burger. 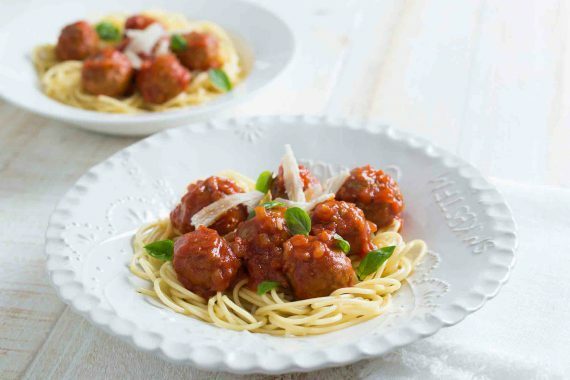 Or for a quick and easy pasta sauce break up the burger, brown the meat and add tomatoes and tomato paste. 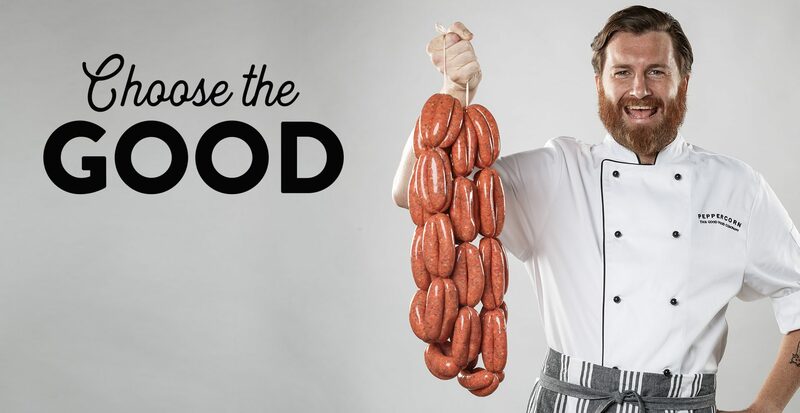 The sausage that started it all – and still our most popular. 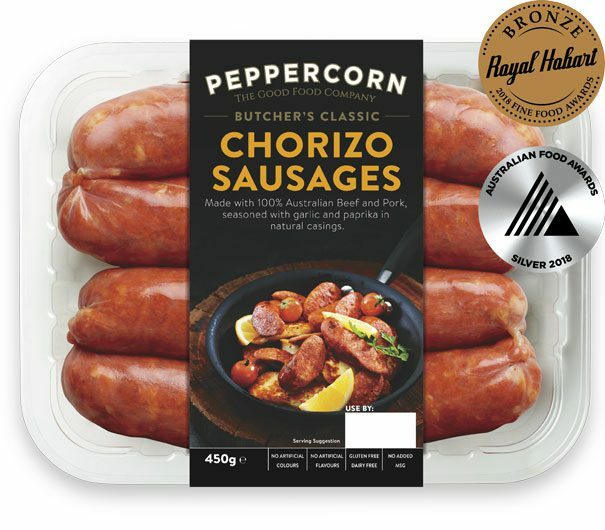 This Aussie favourite is perfect for the barbie, pan or oven. A nutritious, delicious base for any meal. Kids love this product, but don’t tell them how good it is! Cooks in no time at all. 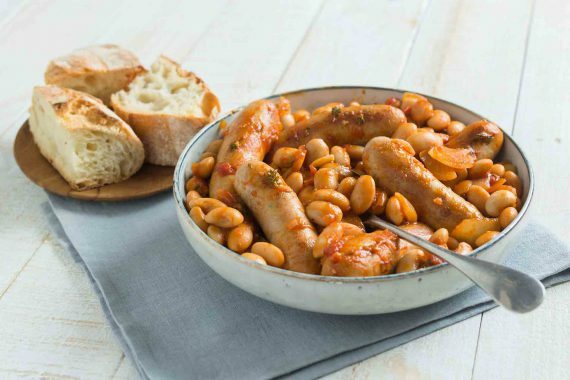 Great as a side dish for breakfast, or added to risottos or pastas. 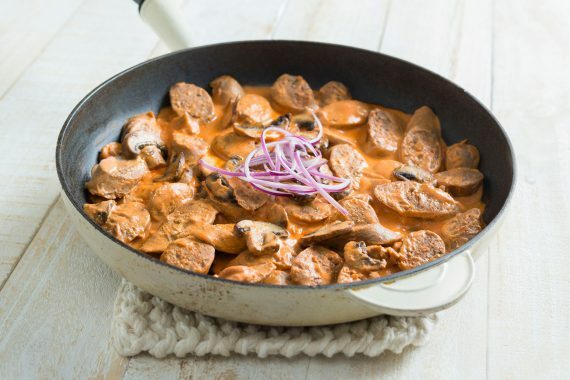 You’ve been working all day; the least we can do is help out with dinner. 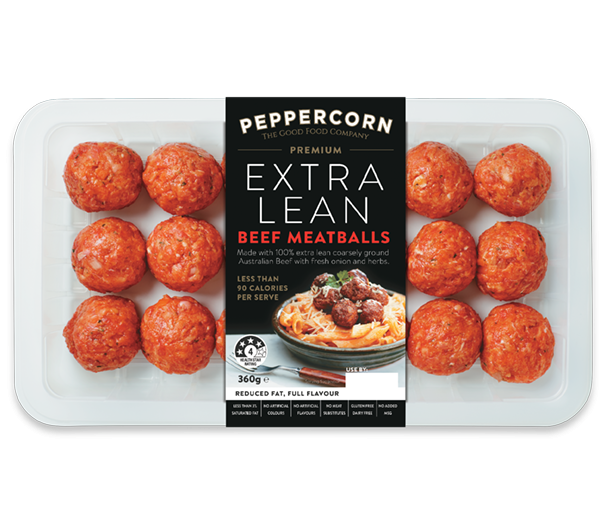 These versatile meatballs are the perfect base for a spaghetti sauce, make a great filling for wraps or tacos, can be enjoyed as is with a salad or stir fried with veggies. 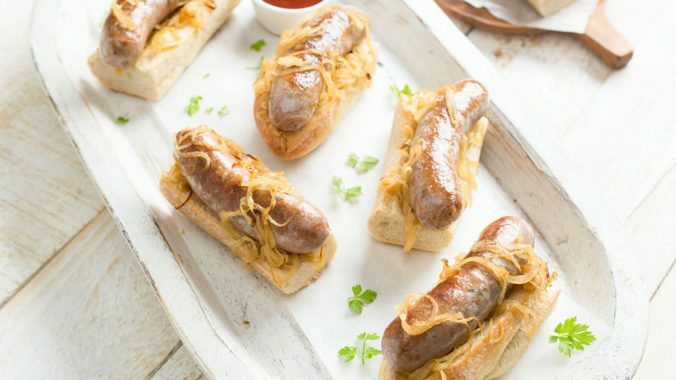 Our butchers take great pride in creating super tasty sausages and burgers the whole family will enjoy. 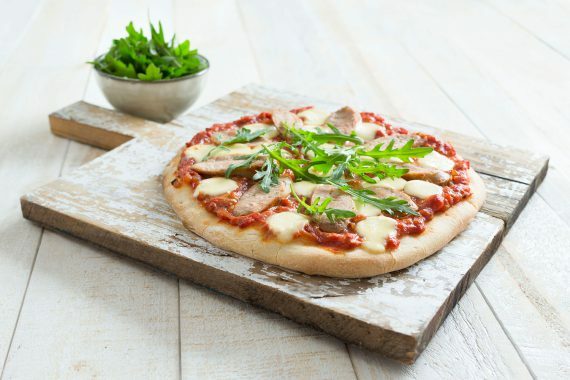 Bursting with flavour, they’re made from the freshest local produce and Australian meat. They’re naturally delicious, with no artificial colours or flavours. 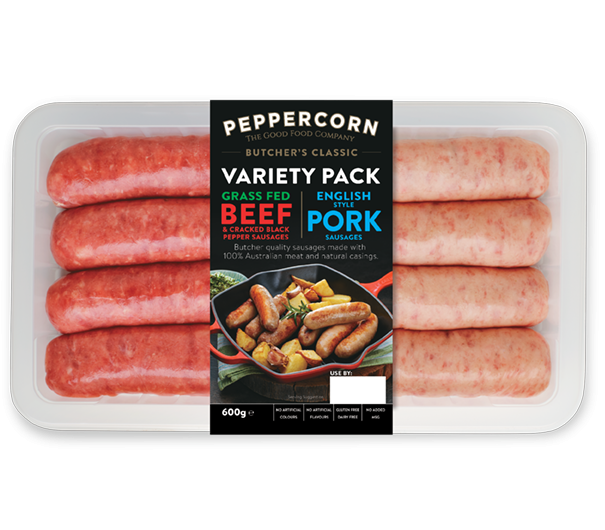 Peppercorn Butcher’s Classic range makes it real easy to enjoy real food. 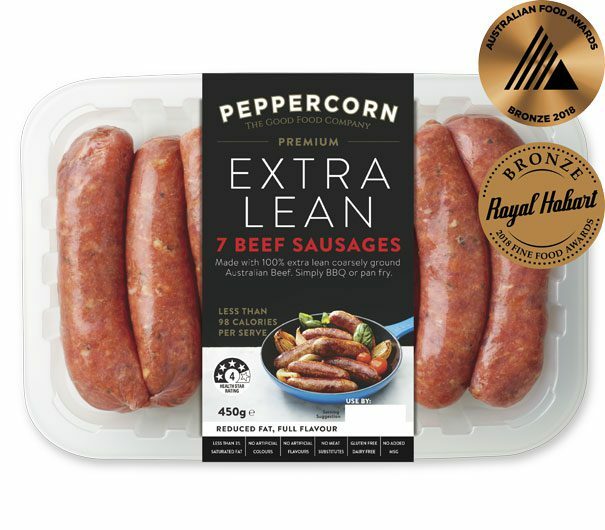 8 Butcher quality sausages made with 100% Australian meat and natural casings. 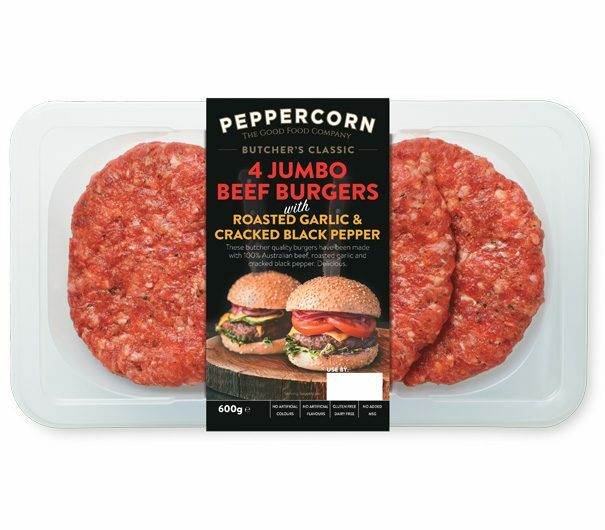 These butcher quality burgers have been made with 100% Australian Beef & a classic blend of roasted garlic & cracked black pepper. Delicious. 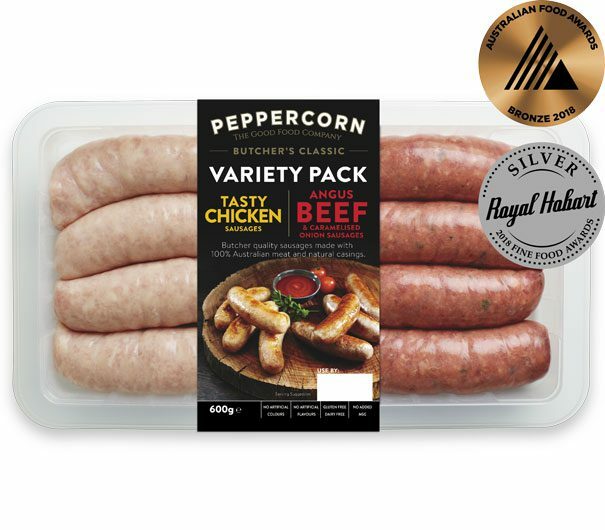 Made with 100% Australian Beef and Pork, seasoned with garlic and paprika in natural casings. Perfect to share with friends and family.